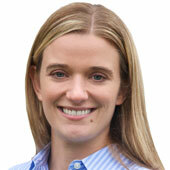 Zynga is getting ready to try its hand at online gambling. The company has confirmed to All Things D that it is actively investigating several opportunities, and is in talks with several partners about gambling on the Internet. As with any new entrant in the space, Zynga will have to fulfill several requirements, meaning any major rollout is still months away. The San Francisco-based social games maker will have to wade through a maze of state, national and international regulations. It will have to secure the correct licenses, and it also needs the right technology to make betting over the Internet secure. For either of these last two requirements, a partnership or acquisition of an online gambling organization or other technology would make the most sense, instead of starting from scratch. However, the effort could easily pay off. Zynga was one of the first online gaming companies on Facebook, and continues to dominate the platform today. If it is able to get its toe in the door, just as the laws change in the U.S., it could be a leader yet again. 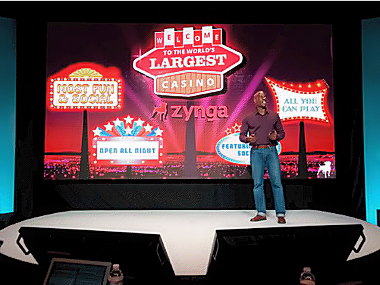 Back in October, Zynga first started showing broad interest in the casino category. 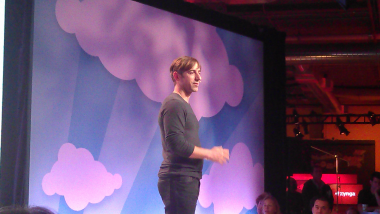 Zynga founder and CEO Mark Pincus announced at a press event that the company was going to launch Zynga Casino, which would serve as a single destination on Facebook to build off its strong brand in poker. Its first new game, which has not launched yet, will be bingo. Until now, the company’s efforts have been limited to building social and mobile games that are given away for free and monetized through the sale of virtual goods. Getting users to make bets and part with real money could prove difficult, even for a company that has so many dedicated fans. One thing Zynga has going for it is that social games are frequently compared to gambling because of their addictive nature — both lure consumers into spending a few more dollars to continue playing. The casino genre has also been quietly racking up big numbers on Facebook. If players actually have the chance to win money, who knows the size of the opportunity? A Facebook spokesperson said the company does not necessarily see a future for gambling on the social network. “We don’t have any plans to get into real-money gambling,” she said. It’s unclear if that eliminates others from experimenting. In the meantime, it hasn’t stopped game makers from exploring the category or the concept. Last week, Seattle-based Double Down Interactive, which was named by Facebook as one of the most popular game makers of 2011, was acquired by video poker giant International Game Technology for $500 million. It has 4.7 million monthly active users playing a variety of games, including blackjack, slots, video poker and roulette. The deal closely followed Caesars Entertainment’s purchase of Playtika, an Israeli game company known for its Facebook title Slotomania. Caesars bought the company in two stages, the first of which was rumored to be purchased for up to $90 million. Caesars, which filed to go public in November, declined to comment because it is currently in its quiet period. Still, the biggest hurdle is the law. Internationally, several countries have permitted gambling for some time, and those areas represent the most immediate opportunities. But there are signs of the U.S. beginning to open up, too. On the day before Christmas, the Department of Justice gave the online gambling community an early present, according to a blog post written by Nelson Rose, a professor and lawyer. “President Barack Obama’s administration has just declared, perhaps unintentionally, that almost every form of intra-state Internet gambling is legal under federal law, and so may be games played interstate and even internationally,” Rose wrote. Essentially, what the Justice Department did was to issue a new interpretation of the Wire Act of 1961. Under the new ruling, it interprets the act as only outlawing bets on sporting events — not all events and contests, according to an article in the San Francisco Chronicle. With that clarification in place, it will now be up to every state to pass legislation outlining operating procedures. So far, Nevada and the District of Columbia have moved quickly to enact laws. To get other state laws passed could be a lengthy process, especially during an election year. In the meantime, launching games only in Nevada and D.C. doesn’t represent the big opportunity everyone was hoping for. To be competitive against Caesars and IGT, Zynga may have to partner or acquire companies that already have the licenses in place or the necessary expertise. Some of the more obvious candidates include Bwin, which operates PartyGaming.com and is traded on the London Stock Exchange; Betfair, and other operators, like Bodog, Bet365 and 888.com. Many are based in the U.K. and handle a variety of casino games and sporting contests there. The entrance into a new market, such as gambling, would take substantial resources, and Zynga has them thanks to its public offering. In December, it raised $1 billion, making it the largest Internet IPO since Google. So, will Zynga be the next “unbelievable monster?” Clearly, it is willing to try.